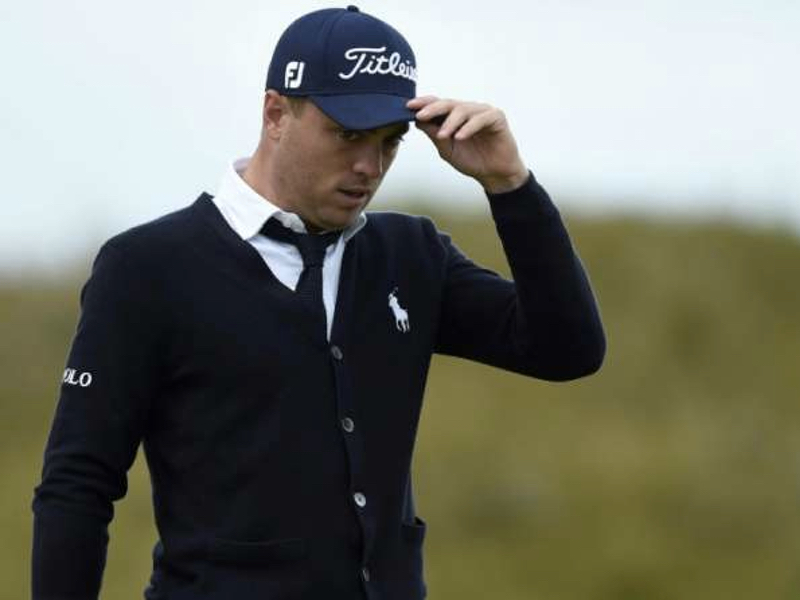 Justin Thomas looked the part in the first round of the British Open thanks to an impressive score of 67, and also due to his outfit of a navy blue cardigan and matching tie. The emerging 24-year-old star raised eyebrows on the course at Royal Birkdale with an unusual ensemble for a golfer. "It feels good. It's nice to have people talking about that. Obviously I knew it was going to get a lot of publicity out there," said Thomas, the world number 13. "But I didn't come here to dress well. I came here to try to play some good golf. And I guess that just happened." He added: "This is a golf shirt, so it's not like it's uncomfortable. And obviously it's not tight."